I REFER to the report “Time to Malaysianise common law system” by Dr Wan Azhar Wan Ahmad (The Star, Sept 18). Like all others who advocate the replacement of the English common law, Dr Wan Azhar has laboured under a serious misconception that we have to establish and develop the Malaysian common law when, in fact, the Malaysian common law has been actively evolving and developing since Merdeka. It is actually a non-issue. The former Lord President, Sultan Azlan Shah, acknowledges this. Writing in 2004 (Constitutional Monarchy, Rule of Law and Good Governance, pp. 188-189), Sultan Azlan Shah wrote that it is erroneous to say that any reference to the common law in Malaysia especially in the field of commercial transactions means the common law of England. 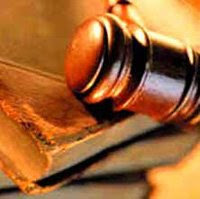 He added that over the past hundred years or so, through the judicial process, almost every branch of the law in Malaysia has been developed, and that whilst the Malaysian common law may be similar to the English common law, what is applicable is, in fact, the Malaysian common law. In my view, this situation is akin to us borrowing English words to develop our National Language. As an avid reader of Malay newspapers for many years, I have observed how English words are constantly converted into Bahasa Malaysia to fill the vacuum. Once converted and used, the words become part of the Bahasa Malaysia vocabulary. Thereafter, one does not say such words are in fact the English language. It follows that our legislature and judges have already developed the Malaysian common law to such an advanced stage that these days local cases are often cited in our courts compared to the early years of our nationhood. It is obviously not a case where our country is devoid of any legal expertise. Likewise, it is mendacious to describe our legal experts as impotent or they are still colonised when, in fact, we can now actually take pride in the development of the Malaysian common law. What many take issue, however, is with the late Tan Sri Prof Ahmad Ibrahim’s proposal to develop a new system of common law based on his notion of the basic law of the land – Islam and Malay customs. This is where Dr Wan Azhar and Prof Ahmad Ibrahim have erred because the basic law of the land is the Federal Constitution. Therefore, to replace the Malaysian common law on this misconceived basis is a separate issue altogether as it is tantamount to substituting the Malaysian syariah law for the Malaysian common law. A fortiori, to amend the Civil Law Act to allow this will offend the spirit of the Federal Constitution in our multi-racial, multi-religious and multi-cultural society. In fact, decisions of our judges delivered in the pre-1988 Judicial Crisis were often cited in various Commonwealth jurisdictions, but not any more these days. We were then, like the English, exporting our Malaysian common law! What we should be aiming at is to improve the administration of justice in this country – the upgrading of our courts to make access to justice speedier, cheaper and more efficient in this information technology age, and ensuring that only the best and most qualified are appointed to dispense justice in our land. It follows that what is more urgent and vital is to restore international respect for our judgments that form the Malaysian common law.